Dr Robin Gasiorowski completed medical training at Cambridge University and University College London, before moving to Australia in 2004. Following specialist haematology training at Royal Prince Alfred and Concord hospitals he now works as a clinical and laboratory haematologist, with a staff specialist position at Concord Hospital. His practice covers a broad range of patients, with both malignant and non-malignant haematological conditions. 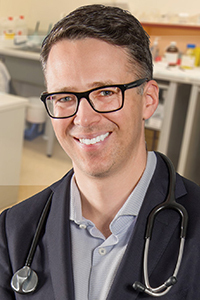 He has a particular interest in leukaemia and lymphoma and completed his PhD through Sydney University, developing novel antibody therapies for Acute Myeloid Leukaemia. 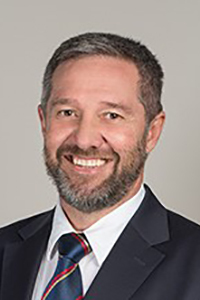 As a Senior Lecturer at both the University of Sydney and Macquarie University he is involved in training medical students and junior doctors at all stages of their careers. He also has a strong interest in clinical research, particularly in the development of novel immune therapies for patients with blood cancers. Hospital. Subsequently, he was Senior Registrar in the Leukaemia Unit, Hammersmith Hospital, London. Dr Blackwell has been in private practice since 1996. He is a member of the Haematology Society of Australia & New Zealand, the Australian & New Zealand Society of Blood Transfusion, the Society of Obstetric Medicine of Australia and New Zealand and the American Society of Hematology.